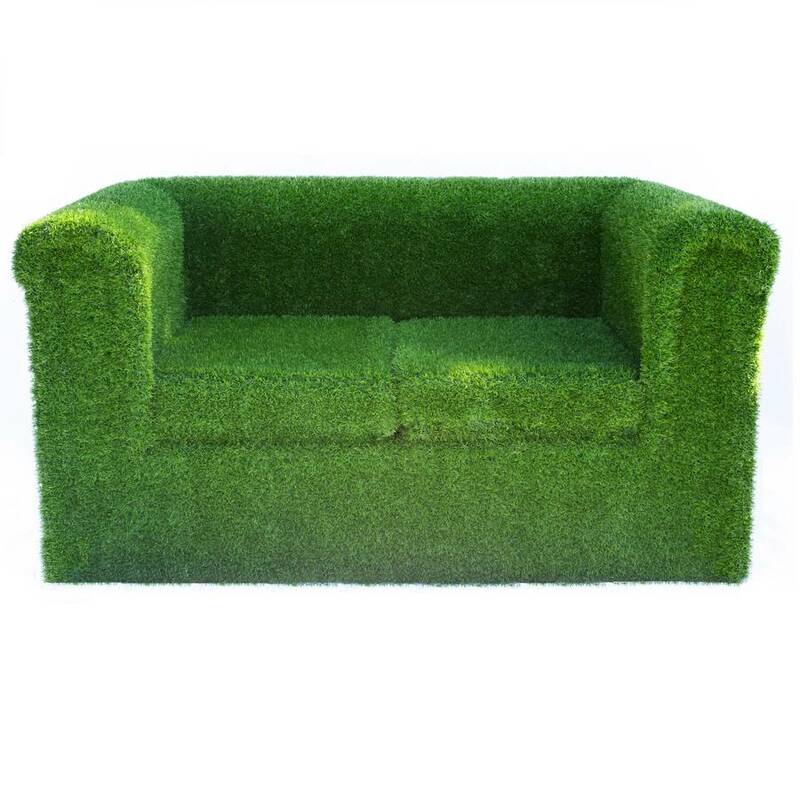 This beautiful artificial grass sofa is hand-crafted and upholstered using only the finest artificial turf. Unlike most outdoor furniture this is extremely resilient to all the outdoor elements, to the point where rainwater does the majority of the maintenance for you! This artificial grass sofa will be a feature in your garden, making a real contemporary statement which any guest will not forget in a hurry! It is wonderfully comfortable and not only looks great, but is very practicle too enabling you to leave this product outside, uncovered and untreated 365 days of the year. 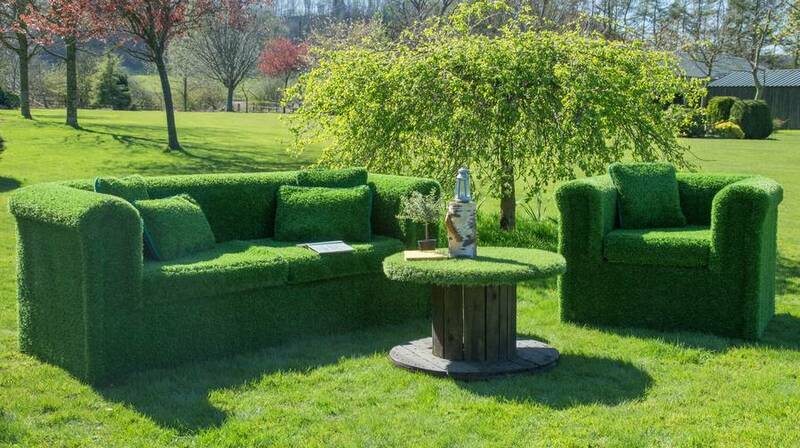 Our grass sofa is made using top grade timber and the highest quality UV artificial turf. 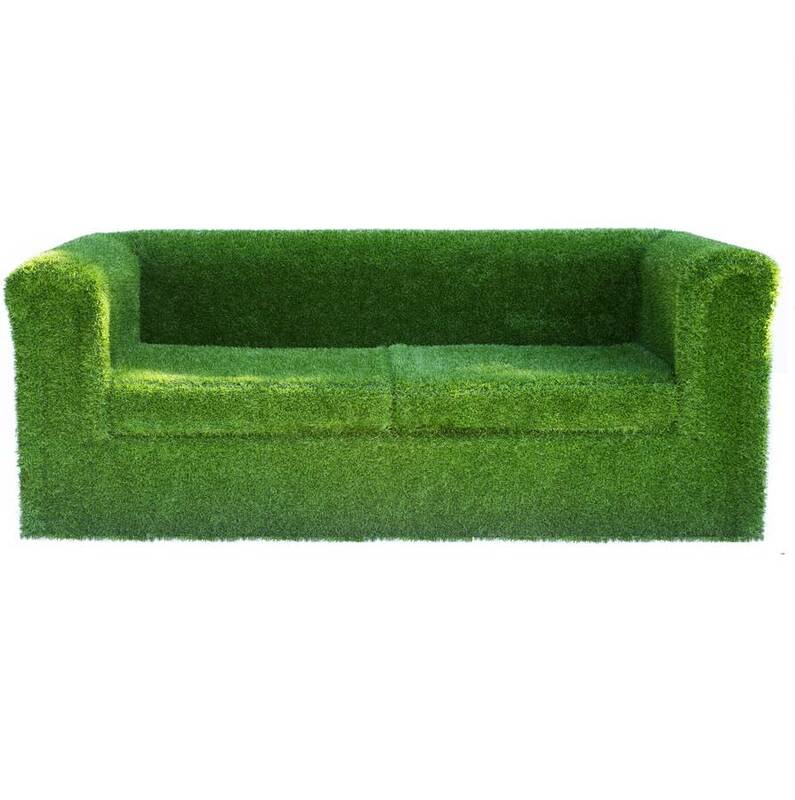 Two seater grass sofa: 95cm (H) x 90cm (D) x 150cm (L). 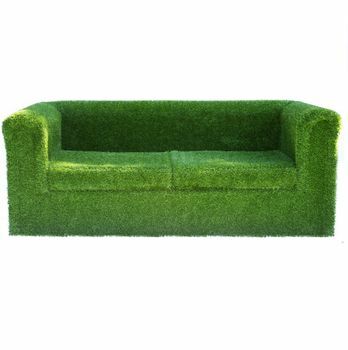 Four seater grass sofa: 95cm (H) x 90cm (D) x 200cm (L). This product is dispatched to you by Artificial landscapes.